Marie advises a range of internationally-quoted and large privately-owned companies and utilities on their tax planning requirements. 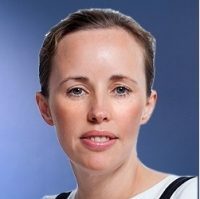 She has extensive experience in international tax matters, including financing arrangements, structuring for acquisitions and transaction services advice such as due diligence. Her clients cover a range of industries, including the medical/pharmaceutical industry, renewable/sustainable energy industry. 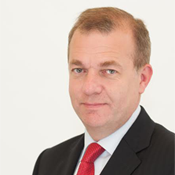 David is the Irish Managing Partner for DLA Piper International LLP. DLA Piper has offices in over 40 jurisidictions and provides a global legal and tax service to its multinational, institutional, government and growing clients. He specialises in transactional M&A, fundraising (both from a company and investor perspective), shareholder arrangements and public listed company work including IPOs, takeovers and rights issues. He acts for Irish exporting clients and US and international companies expanding into Europe. David travels regularly to all parts of the US, UK, Europe and Asia. 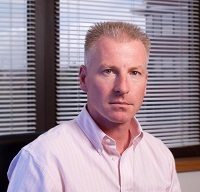 Kieran Spellman is CFO and COO of technology development, online digital entertainment, sports betting and casino business, BetBright.com. BetBright employs 115 in its Sandyford technology development centre and is using proprietary technology to implement a disruptive and differentiated vision for the sector. 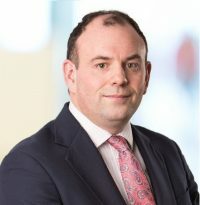 Kieran has extensive commercial and leadership experience as CFO of mobile payments, technology, healthcare, property development and construction businesses. He is a graduate of Dublin City University and trained and qualified as an accountant with KPMG where he worked in international audit and transaction services in Ireland, Hungary and Malaysia. 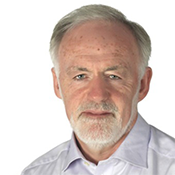 Kieran joined the IEA as Treasurer in 2017. Founded 11890 directory enquiries in 2006 and created Cloud90 in January 2013. Cloud90 delivers front line services in Online Risk. Using human ingenuity and the latest analytics technology to deliver best online/digital data live 24/7. Cloud90 clients include leading banks, semi states and large global corporates. Nicola is currently a board member of the New Childrens Hospital Group Board and a member of the Evaluation Board on Fingal’s Local Enterprise board. 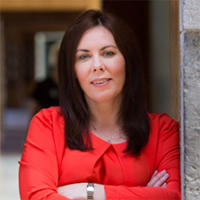 Previously a board member of Ireland US Council and British Irish Chamber of Commerce 2012-2015. Paschal is a Director of Fehily Timony Company, Holden Installations, Induchem Group, Alex Verification Services and runs his own Consultancy Business Paschal McCarthy Management and Consultancy Service. He is former Managing Director of GE Healthcare Ireland, a manufacturing subsidiary of The General Electric Company. Originally founded as Nycomed Ireland Ltd., before merging with Amersham International in 1997 and subsequently acquired by GE in 2004. Paschal was with the company since day 1, and has grown the operation from a European supplier shipping 3 million units to Western European markets to today, a global supplier shipping 20 million units to 70+ markets worldwide. From 1995 to 1997 Paschal headed up the company’s bulk chemical plant at Lindesnes, Norway. Prior to joining Nycomed Ireland Paschal also worked with Schering Plough Corp. and Baxter Healthcare.